In my last article we dug into how you can begin adding perpetual motion into your basic step to improve it. Now we’ll take a look at the next step in enhancing your salsa basics. If you’ve ever struggled with timing, balance or body movement, getting grounded in your basic is a no-brainer next upgrade that will help you in your journey. As I mentioned before, once you’ve “learned” something, you’re never really done. There’s always improvements to be made, and improving your fundamentals is what allows you to do all the wicked tricky fun stuff later on. Picking your feet up off of the ground during the 4 and the 8 makes you less stable. You’re at the mercy of your momentum and it’s much easier to go off balance. Simply put, it’s more difficult to stand on one leg than it is on two. Keeping your feet on the floor for the 4 and 8 gives you control, makes your basic smoother, and allows you to articulate perpetual motion in your body movement – specifically your hips. Ensuring your technique is sound – that your stable and smooth, in this case – is the crux for advancing what you’re capable of as a dancer. When you’re dancing your basic step, your body should be accomplishing two different rhythms. Your feet step Quick, Quick Quick on counts 1, 2, 3 – 5, 6, 7. Your body actually moves continuously on the Quick, Quick, Slow rhythm, using every count: 1, 2, 3, 4, 5, 6, 7, 8. Everything above your feet should never stop moving. Your feet should hit the ground (going from toe-heel) as quickly as possible in your step. It’s your body that never stops moving. Milk those slow counts (4 & 8). It’s your body that gets extra time to move on the slow counts, not your feet. And of course, remember that the quick-quick-slow rhythm is the essence of Salsa. Without it, you’re no longer dancing Salsa. I hope this tip can help you gain better control of your salsa basic on your journey toward all that fancy, fun and musical stuff you’re hungry to get to. Give it a go next time you’re practicing and let me know how it works for you. If you have any questions just drop them in the comments section below! Enjoy this post? 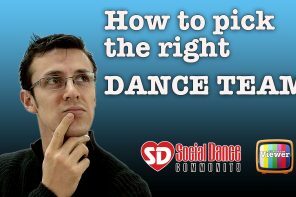 If so, try a sample lesson from our progressive On1 and On2 salsa curriculum taught by Canadian Salsa Champs Patrick and Scarlet at TheDanceDojo.com. 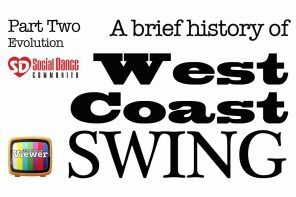 What is often missed in Salsa instruction is that the body slows for the 4 and 8 counts and this is what is reflected in the footwork. 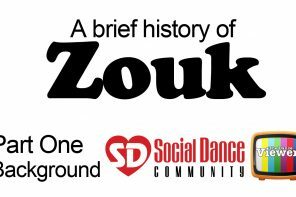 The quick quick slow footwork description is actually interpretive and not a good way of educating students on Salsa steps. So the 4 and 8 are better described as a pause or good deceleration in movement. While the 1-2-3, 5-6-7 method is also an effort to describe this, not talking about the 4 and 8 may well lead to more confusion in beginners than a full description of the steps. As an early dancer one of the experienced teachers told me a few times that I was dancing too fast. It never occurred to me that this was my leaving out the pause or slow in my steps even though I trusted her comment. So I was confused and it took me a while to figure out that it was a logical inversion of the concept of putting a pause in my footwork. You’re so right David. Every explanation jives with each person a little differently. It can be confusing to omit the 4 and 8 in the explanation of the basic for some beginners. For others it can be too much to include it. Every teacher will have their own approach. I’m a firm believer that the trick is to layer on information at the appropriate time as to not overwhelm and experiment to see what works best.